As the Clippers prepare to make a final push for the playoffs, the team is expecting forwards Wilson Chandler (right quad strain) and Luc Mbah a Moute (sore left knee) to make their returns soon, according to Andrew Greif of the Los Angeles Times. 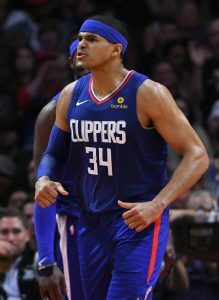 Both players are likely to practice in the near future, coach Doc Rivers said, with their eventual returns adding to an already deep Los Angeles team. Rivers did not give a specific timeline for either player. Several players have been linked to the Clippers in recent months, including the recently traded Kristaps Porzingis. Porzingis added the Clippers to a handful of preferred trade destinations before being moved out of New York, Marc Stein of The New York Times reported. The team could pursue the likes of Kevin Durant, Kawhi Leonard and DeMarcus Cousins in free agency this summer, preaching a well-rounded, competitive roster that currently owns the eighth best record in the West at 32-27. The Lakers need to do their best to pair LeBron James with a superstar free agent talent this summer, Tim Bontemps of ESPN writes. Players such as Durant, Leonard, Kyrie Irving and Klay Thompson will reach free agency on July 1, while Pelicans star Anthony Davis is expected to become available via trade. The decision to trade DeMarcus Cousins back in 2017 has worked out perfectly for the Kings, Jason Anderson of the Sacramento Bee writes. Sacramento has one of the brightest young cores in the NBA behind De’Aaron Fox, Buddy Hield, Marvin Bagley lll and others, seamlessly transitioning to a new era despite trading their cornerstone piece. The Sixers will be without Wilson Chandler for two-to-three weeks due to a right quadriceps strain, tweets Shams Charania of The Athletic. Chandler is expected to return sometime after the All-Star break. Chandler left Philadelphia’s win over the Warriors on Thursday due to the right quad strain. He tallied eight points, three assists and two rebounds in 21 minutes before the injury. In 36 games (32 starts) this season, Chandler has averaged 6.7 PPG, 4.7 RPG and 2.0 APG while shooting 39% from three for the Sixers. The 31-year-old was acquired by Philadelphia from the Nuggets during the offseason. Chandler missed the Sixers’ first nine games of the season due to a hamstring injury. When Wilson Chandler signed a four-year, $46.5MM extension with the Nuggets during the summer of 2015, he planned on playing out the contract in Denver. Still, he never viewed it as a lock that he’d be in Colorado for the entire deal. The Nuggets sent the combo forward to the Sixers this past offseason in a financially-driven deal. The event marked the second time Chandler has been traded during his 10-year career (he was sent from the Knicks to the Nuggets in the 2011 Carmelo Anthony blockbuster). “When you’re younger, even though you know it’s a business, it’s still shocking when you get traded especially when you’re in a good rhythm and just getting a feel for a place, you kind of like it and you’re settled in,” Chandler told Hoops Rumors. On Saturday, Chandler said he was about a week away from making his regular season debut with the Sixers, as he’s still recovering from a strained hamstring. While the injury has kept him sidelined since the club’s first preseason game, he’s excited to get back out there with his new teammates. “Just watching from afar and then being in training camp with these guys. It’s an amazing team, a young team,” Chandler said. The 76ers have also been open with him about the role the 31-year-old will play once he’s healthy enough to return to the court. It appears Wilson Chandler‘s hamstring injury will linger at least a couple of weeks into the regular season, coach Brett Brown says in a video tweeted by Keith Pompey of The Philadelphia Inquirer. 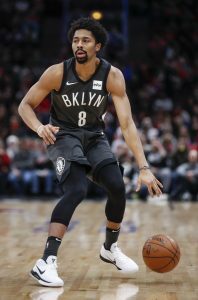 Chandler, who was acquired in an offseason trade with the Nuggets, has been sidelined since straining his left hamstring September 28 in an exhibition game against Melbourne United. Brown added that no timeline has been set for Chandler to return, but repeated that it should be about a month from the original injury. The Sixers open their season Tuesday against the Celtics. Brown plans to stick with his preseason strategy of starting Markelle Fultz at shooting guard in the first half and J.J. Redick in the second half, relays Tom Moore of The Bucks County Courier Times. Both players say they’re on board with the unconventional arrangement. Newly acquired Sixers swingman Wilson Chandler will miss two to three weeks with an injured left hamstring, tweets Chris Haynes of ESPN. That could keep him sidelined for the entire preseason and puts his availability in doubt for the October 16 season opener against the Celtics. Chandler will be focused on rehab and won’t join the team on its trip to China, according to Keith Pompey of The Philadelphia Inquirer (Twitter link), who adds that the injury occurred in Friday’s exhibition game. Chandler had an MRI today that revealed the damage, relays Marc J. Spears of The Undefeated (Twitter link). The Nuggets sent Chandler to Philadelphia in July in a move to clear cap space. Denver received only cash considerations in return. A 10-year veteran, Chandler started 71 of the 74 games he played last year, averaging 10.0 points and 5.4 rebounds per night. He will make $12.8MM this season and will be a free agent next summer.